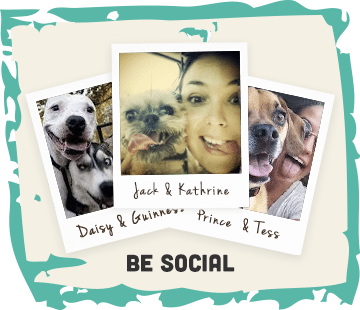 Since joining the wonderful instadog community, we’ve been lucky enough to make some fantastic fur friends and, as a result, get to know about the various events, up and down the country, which celebrate our canine companions. Today we attended our first ever DogFest and had the opawatunity to play a part in Guru Pet Foods marvellous stand! So, after I asked Lisa 900 questions about the brand, she sent Winston a free sample to try and the rest is history… As some of you may have seen on Winston’s Instagram, he ate the sample pack in the same amount of time the kibble is cold pressed for! So, our next port of call was to try the field bones… This is where our love affair with Guru really began as these bones are now a firm staple within Winstons world. We do a lot of travelling as a family and the field bones are the perfect alternative to trying to fit 4 days worth of dog food into plastic containers and multiple handbags. Jam packed with nutrients and free of any nasties, these bones are a full meal for fur friends on the go and save a considerable amount of space and spillage on your back seats. I can’t speak for the taste, but, Winston highly approves! Hellos my furbulous friends, Winston here! How is I typing without thumbs I hears you ask? Well, I has bribed the human to types for me. I has told her that I won’t bark at her in the bath or steal her slippers for at least 3 days if she writes this for me. I thinks that’s a very reasonable deal! Today has beens the most pawsome day, as I has spent hours on end chasing tails, tricking humans into givings me treats and sittings on a throne, all from the comforts of the Guru Pet Food stand! When Momz told me that we woulds be blogging for our friends at Guru at DogFest, I was super excited, but, I couldn’t have anticipated the amount of funs I had. First thing this morning, I leapt up at Lisa and the team, gave them multiple licks and kisses, then proceeded to pee all over their beautifully designed hedge seats. Momz wasn’t best pleased, but, I told hers, a pugs gotta do, what a pugs gotta do and I was only letting all my other barking buddies know that I had arrived. Me and the humans then went for a mooch around the stalls and I received a mutt friendly massage! I thinks that was possibly the best 4 minutes of my life and the lady who had the magic hands, had to removes me from the treatment table because I fell asleeps. I don’t know why the humans apologised to the lady, I mean, relaxation is the point right? We followed my pampering session with an ice cream and a brawl with a Newfoundland Hound. Obviously, I was just warming up for my wrestling matches with the Chicken Puggets! We headed back to the Guru stand and met the one and only Sarah from @whiskersandstitched. Now, Momz tells me that Sarah isn’t actually my personal tailor and she sends her gorgeous doggy accessories across the world, but, I begs to differ. She is one of my very favourite humans and I was so very happy to finally meets her. Next up, we met our new buddie @_alfiebear. Alfie is quite the sophisticated spaniel and he is also incredibly kinds, because him and his lovely Mum fed me cheese until my heart was content and my belly was full. It was only later on that I discovered that Momz had an ulterior motives and the cheese was to make me sit still for photos with Alfie! Not long after, my squad arrived. For those of yous who don’t know the Chicken Puggets, you must get to knows them! We is the new kids on the block and still has much to learn in terms of being a fully fledged dog but, for the time beings, me, @littlepugharry @barneythelittlepug and @winstonnefarius are quite happy to spend our days brawling, stealing snackies off each other’s pawrents and making it incredibly difficults for humans to get photos of us. That’s just how we roll. Winston has now wandered off, no doubt to catch 40 winks after walking his little legs off today, but, we want to say a huge, enourmous thank you to Lisa and the team for being so incredibly warm and welcoming today and for supporting our Instagram page. 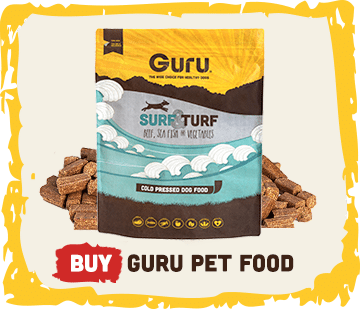 We are so incredibly lucky to meet people such as yourself through social media and we only hope that this post will encourage people to check out what the fuss is all about with Guru Pet Food. 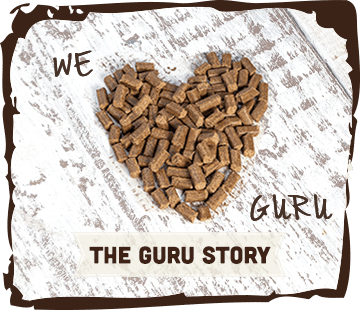 The products are SO worth the hype, not only because they are well produced, healthy and safe but, because Lisa and her team put their heart and soul into everything they do at Guru. So, thank you to Guru Pet Food for making got our first ever DogFest a memorable one. 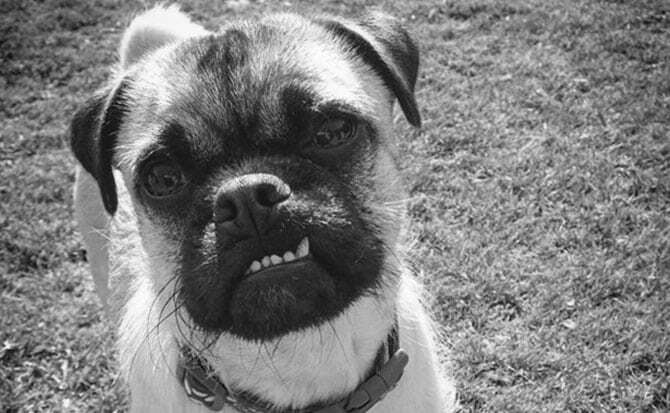 You truly are pugtastic:) I’m off to put my paws, I mean, feet up with a nice cup of tea and a biscuit; not of the Guru kind on this occasion!